Time to immerse yourself in another frenetic multiplayer shooter of NIGHTPOINT.io, all .io fanatics! Are you ready to show your best shooting ability to gain the highest position on the scoreboard? Of course, yes since I know you don’t want to miss experiencing awesome and surprising things that only have in this game. Follow me and explore now! First of all, you need to choose your preferred hero or heroine to start a battle against swarms of dangerous zombies as well as other opponents. You MUST know by heart that everybody is your enemies and you don’t need to show your kindness to anyone. Grab a pistol and jump into the main battlefield now! The battlefield is a big city which is invaded by the zombies . You need to observe surrounding as well as combining with a small radar map to get a better view. Let’s move around via clicking on WASD keys and be sure to hold the pistol tightly because the zombies and opponents might appear and attack you anytime. Whenever catching them, please shoot hard yet accurately by using the left mouse. And at the same time, remember to dodge the fierce counterattack skillfully. The more enemies you kill, the more scores you can receive. These scores are extremely important to help you level up as well as giving you new weapons such as a shotgun, machine gun, flamethrower, etc. In addition, the scores also bring a series of wonderful upgrades including Speed, Max Health, Health Regeneration, and Accuracy which are corresponding to 4 hotkeys (from 1-4). What’s more, this game provides some available medial kits surrounding the city. If seeing them, be quick to catch to heal your health. 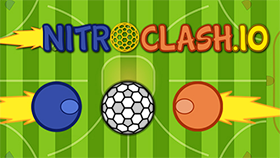 Similar to other shooting .io games, NIGHTPOINT.io offers two familiar game modes to enjoy like FFA and TEAMS. If you prefer to play as a team and just kill only the zombies, choose TEAMS. Or want to challenge yourself by facing up to both zombies and other players, FFA is the best. No matter which mode you choose, always remember that your final purpose is to be on top and maintain this position as long as possible. There is no time for waiting! 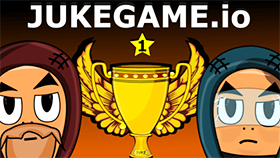 Enter here and enjoy this awesome game now! The blocks, cars and some objects on the way are perfect to hide. But, be careful of the dead end. Killing other players gives more scores than wiping out the zombies.